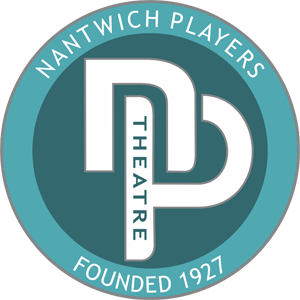 Tickets (£9.00) are sold through Nantwich Tourist Information Centre (TIC) in the Civic Hall on Beam Street, Nantwich three weeks before each production opens. Actual dates are given on this web site, all posters and season’s leaflets. Call in person or ring 01270 600727 with your debit or credit card. Tickets will be held at the Theatre on the day of performance if you cannot collect them earlier. Tickets can also be booked on-line, through the Town Council’s website. Internet ticketing will open at 9AM on the opening day of sales for each production. Visit the Nantwich Town Council website for more information. There is a charge of £1 transaction fee per ticket bought on-line which goes direct to the Town Council. A licensed bar is open before and after the performance as well as during the interval. A Coffee Bar selling coffee and a variety of Snugburys Ice Cream is open during the interval only. The theatre now accepts Credit, Debit and Contactless payments. There are newly refurbished toilets suitable for all patrons. We also have spaces suitable for wheelchair users which can be booked through the TIC. Car Parking is on the doorstep. Drive in from Waterlode to the town’s car park which is free after 6pm. A lightweight wheelchair is available for the use of patrons to move from their car to their seat. Performances start punctually at 7.45pm. Due to the layout of the auditorium we regret latecomers cannot be admitted until a suitable break in the performance, which is usually the interval. Telephone bookings must be paid for by credit/debit card. Tickets may be collected from the Tourist Information Centre or the Theatre on the evening of the performance. Tickets paid for are the property of the card holder and will not be resold if they are not collected. If you have a ticket you will not be using, we will try to re-sell it but our own unsold tickets take priority.